Foreign Minister Ahmet Davutoğlu pledged to raise aid efforts to Somalia's autonomous Somaliland region in his talks with Ahmed Mahamoud Silanyo, president of Somaliland, on Wednesday [13 March 2013]. A senior Turkish diplomat, who spoke to Somaliland Sun on condition of anonymity, stated that five ministers from the Somaliland side also attended the Davutoğlu-Silanyo meeting, which was closed to the press. Following a tête-à-tête meeting between Davutoğlu and Silanyo the delegations came together over a working meal. According to the diplomat, the sides discussed the projects of the Turkish International Cooperation and Development Agency (TİKA) and other Turkish nongovernmental organizations in Somaliland. "The Turkish foreign minister pledged to increase Turkey's aid efforts in all regions of Somalia, including Somaliland. He also underlined that Somaliland is of great importance to Turkey due to the historical ties existing since the Ottoman era," said the diplomat. 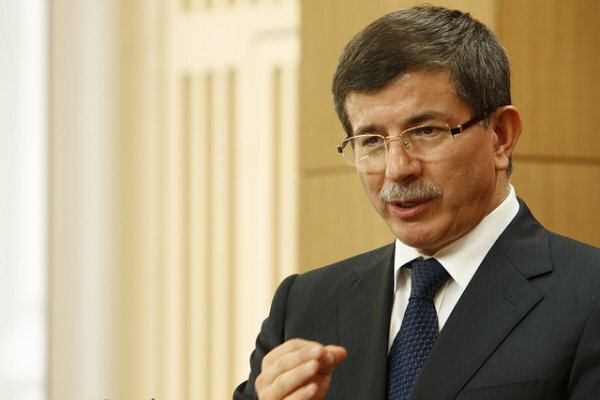 According to the diplomat, Davutoğlu also pledged to continue his support for the reconciliation, stability, prosperity and development of Somalia. During the meeting, he also emphasized Turkey's commitment to the integrity of Somalia, said the diplomat. Silanyo paid a visit to Ankara on Tuesday for talks with Turkish officials. He spoke with Deputy Prime Minister Bekir Bozdağ and officials from the Ministry of Energy and was also scheduled to meet with Prime Minister Recep Tayyip Erdoğan on Tuesday [12 March 2013]. However, the meeting had to be canceled due to Erdoğan's poor health. Erdoğan reportedly caught a cold and will rest at home for a few days.